The Data Science With Python Workflow Cheat Sheet connects the documentation for the main Python packages within the data science workflow. The Python Cheat Sheet is a key component of in learning the Python for data science efficiently. We teach the cheat sheet as part of our Business Analysis With Python (DS4B 101-P) Course that is part of the Data Science for Business With Python Track. 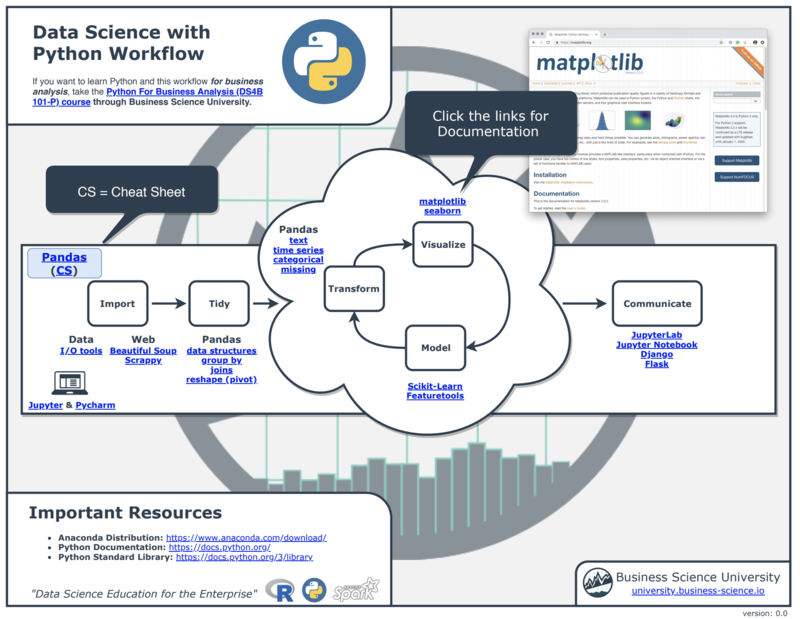 Learn more about the Data Science with Python workflow and cheat sheet in our article, "New Python Cheat Sheet: Data Science Workflow with Python"
Get notified of cheat sheet updates.